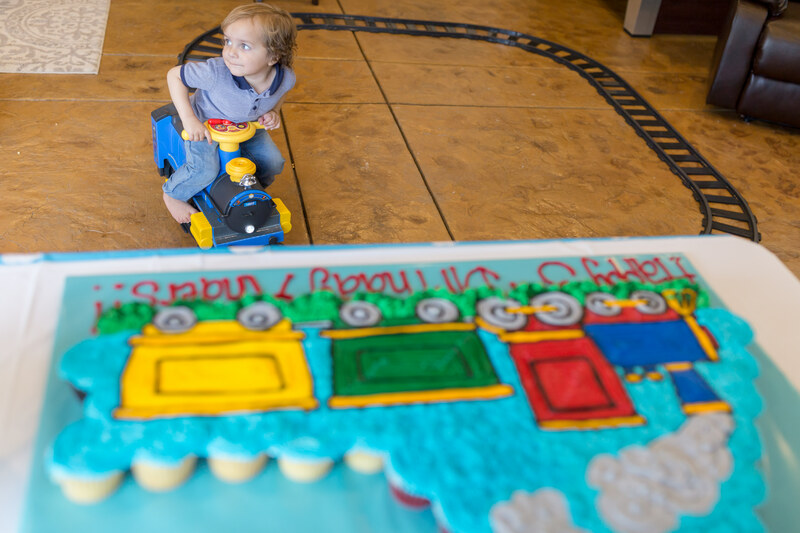 When your child is obsessed with trains as much as mine, it doesn’t take much thought to decide the theme for his third birthday party. My little guy LOVES trains. 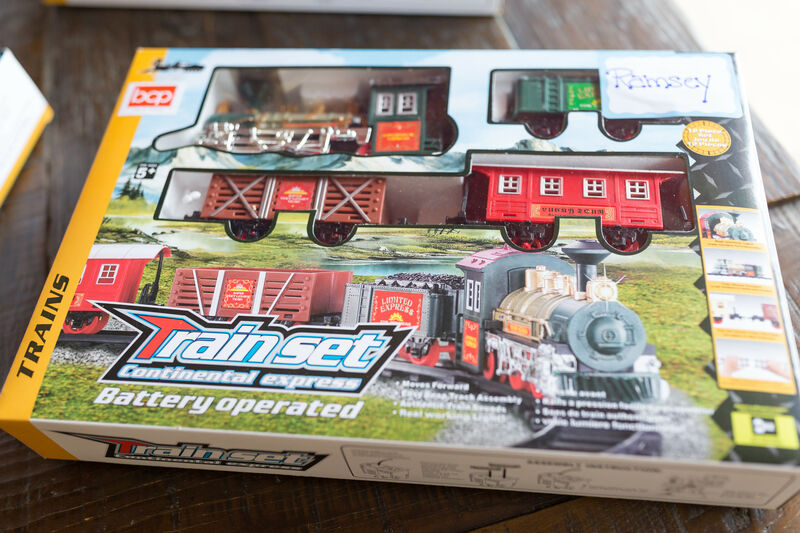 He could watch Thomas The Train, videos of trains, and play with his toy trains all day, everyday. 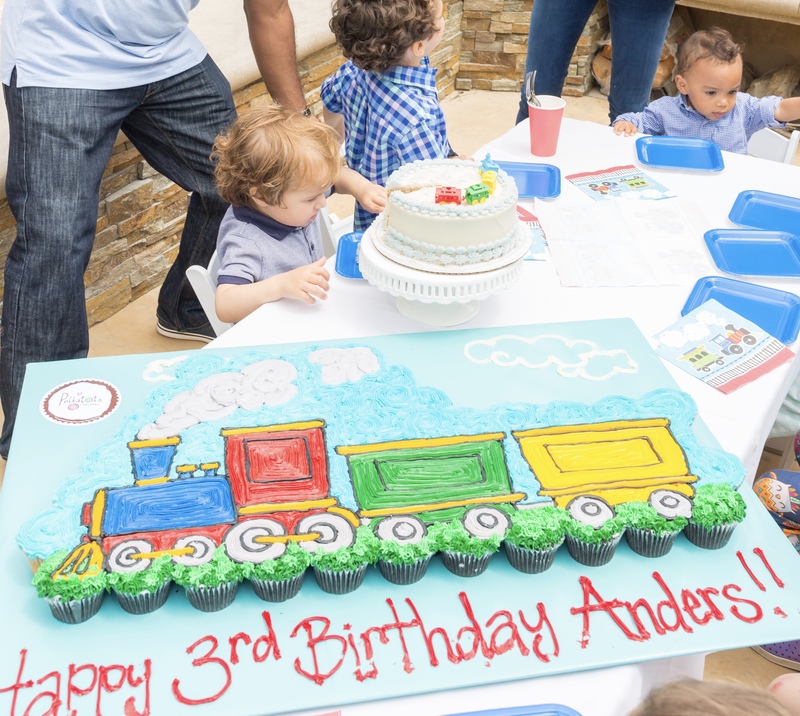 Thus, you can imagine how excited my son, Anders, was when we threw him a train-themed birthday party. As per usual, I used our beloved Polkatots to make his cupcake cake. 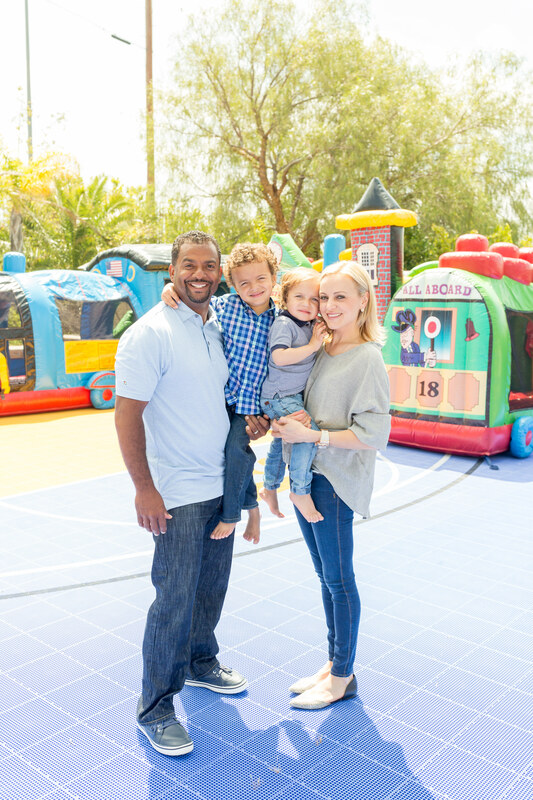 (I prefer cupcake cakes for kid parties as they are soooooooo much easier for kids who have little patience in waiting for a cake to be sliced. 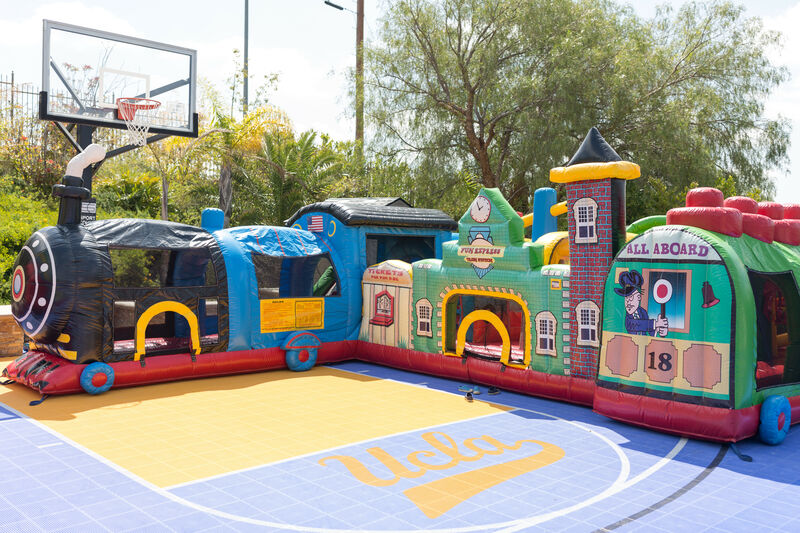 Likewise, they make it more convenient for the adults.) 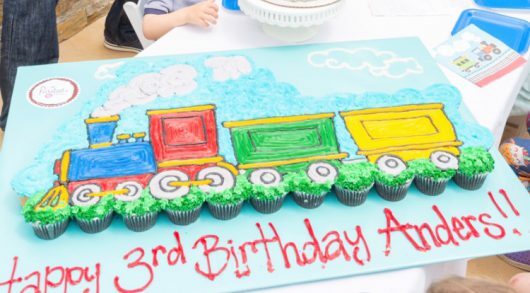 Polkatots created a gorgeous train cupcake cake consisting of red velvet, vanilla, chocolate, and strawberry-flavored cupcakes. I use Polkatots for every party not only because they do a great job with the decorating, but because they are the best-tasting and most addictive cupcakes EVER! The only downside? I always eat way too many! 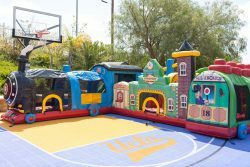 Other highlights from the party included a train piñata, a bouncy house combo blow up in the shape of a train station, and mini train rides. 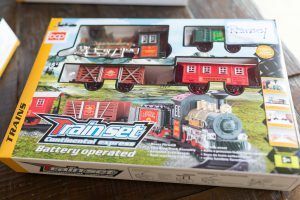 Since we only invited his 6 classmates, we found some great (and inexpensive) train sets to give to each child as a party favor. 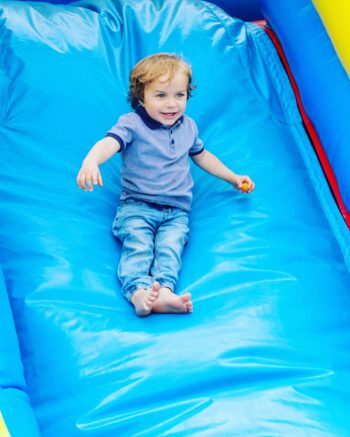 Overall, it was a fantastic party and my newly-turned three-year old was over the moon! Let the “Terrific Three’s” begin! Mini Golf Birthday Party: Look Who Turned Fooooooore!